Thousands will join in the revelry for the 286th anniversary of George Washington’s birth in his adopted hometown of Alexandria, Virginia. 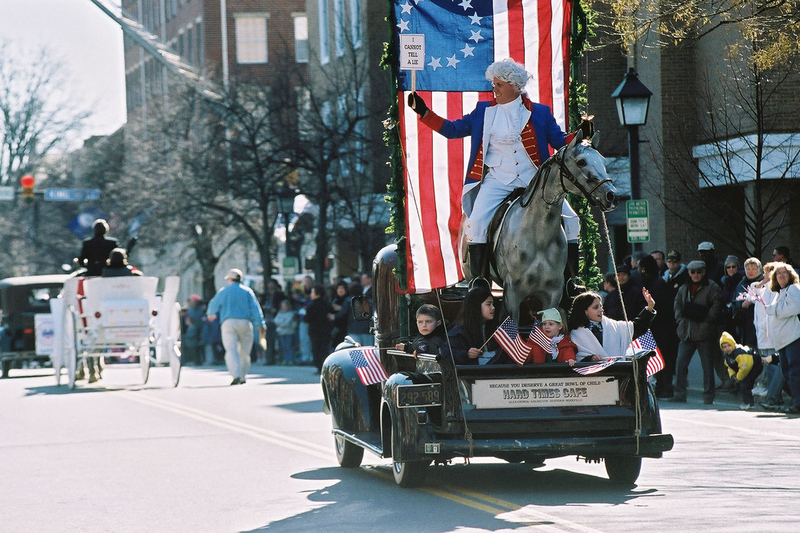 The city celebrates the General’s birthday throughout the month of February with 16 festive events, including the George Washington Birthday Parade, a Cherry Challenge among Alexandria’s restaurants, free admission to historic sites, popular walking tours and an 18th-century banquet and ball. Alexandria is a “best of” when it comes to the spectrum of sites and special events associated with General Washington. With George Washington’s Mount Vernon just eight miles south of historic Old Town, more than 140 locations in present-day Alexandria are associated with the nation’s first president who conducted business, gathered with friends, worshiped and even owned a townhouse in the city. The nation’s largest George Washington Birthday parade marches a one-mile route through the streets of Old Town Alexandria. This community parade honors one of the Alexandria’s favorite sons. For more information, including parking, maps, route and status, visit www.washingtonbirthday.net or call 703-829-6640. FREE. In honor of George Washington’s birthday, participating Alexandria restaurants will create unique, cherry-centric dishes in celebration of one of the most cherished legends surrounding our first president. This year features dishes from dozens of restaurants, including Lena’s Wood-Fired Pizza & Tap, Junction Bakery & Bistro and Jackson 20, and from every area of Alexandria—Old Town, Del Ray, the West End, and along the George Washington Memorial Parkway. Patrons rate their favorite dishes, and winners are given special recognition at the George Washington Birthday Parade. A “Frequent Cherry Diner Award” will go to the customer who buys and rates the most Cherry Challenge entries. For more information, visit www.washingtonbirthday.net or call 703-829-6640. Walk in George Washington’s footsteps through his adopted hometown of historic Alexandria and view some of the sites connected to the General, like where he filled his prescriptions or wined and dined with important Alexandrians. Meet at the Alexandria Visitor Center (221 King St.). FREE. 17th – 19th 9 a.m.-4 p.m.
22nd – 9 a.m.-4 p.m.
On February 17-18, wish the General a happy birthday while enjoying hoecakes made over the open fire, #PoseLikeThePrez in the Education Center Lobby and observe wreathlayings at Washington’s Tomb. Across the estate, listen to members of the Washington family recount stories about the General, visit with George and Martha Washington at the Interpretive Center and watch dancing demonstrations on the bowling green. On February 19, enjoy free admission to Mount Vernon, witness a presidential tribute featuring honored guests, a wreathlaying at Washington’s tomb, watch Continental soldiers conduct a marching drill, and enjoy character performances around the estate. From 10 a.m.-4 p.m. greet author Jeff Finegan who will sign books from his series, I Knew George Washington. For more information, visit www.mountvernon.org/birthday or call 703-780-2000. Don your dancing shoes for this famous celebration of Washington’s Birthday at Gadsby’s Tavern Museum, set in the year 1799. The evening includes an 18th-century banquet, English country dancing, dessert collation, character re-enactors plus the General and Mrs. Washington. Period costume optional; “after-five” attire encouraged. Cost is $125 per ticket. $150 per person ticket includes dinner in the same room with the Washingtons. $250 per person ticket reserves your spot at a table with the Washingtons for dinner. Reservations required. To purchase tickets, visit Alexandriava.gov/Shop or call 703-746-4242. In honor of George Washington’s birthday, admission is free at these historic Alexandria sites: Friendship Firehouse Museum, Gadsby’s Tavern Museum, Stabler-Leadbeater Apothecary Museum and The Lyceum: Alexandria’s History Museum. FREE. In preparation for George Washington’s Birthnight Ball on February 17, learn 18th-century English country dancing from expert dance instructors at Gadsby’s Tavern Museum. Tickets are $12 per class or $30 for the series. Reservations are recommended. For more information, visit Alexandriava.gov/Shop or call 703-746-4242. Meet natural philosopherDr. Samuel Dömjen at Gadsby’s Tavern Museum. Learn about his story from the past while journeying through the museum. Admission is $5 per adult. For more information, visit www.alexandriava.gov/GadsbysTavern or call 703-746-4242. Sponsored by the Friendship Veterans Fire Engine Association, this annual tradition at The Alexandrian, Autograph Collection features “George Washington’s” first appearance of the day, a hearty breakfast and an address by a special guest. Tickets are $35. For more information, visit www.friendshipfire.net or call 703-829-6640. Join the Daughters of the American Revolution and the Sons of the American Revolution as they host colonial military and civilians to honor the soldiers of the Revolution at the Old Presbyterian Meeting House (321 S. Fairfax St.). FREE. Come enjoy a free one-hour concert by the parade marching band units in honor of the General and Lady Washington at Market Square. FREE. Come honor our nation’s veterans and active military, and sign the community covenant document showing your support for our armed forces and their families at the Parade Reviewing Stand adjacent to Market Square. FREE. The theme of the 2018 George Washington Symposium is Envisioning a Great Nation: Where George Washington’s Journeys Took Him. The symposium will take place Saturday, February 24, 2018, as part of the Memorial’s celebration of Washington’s Birthday. The lectures begin at 1 p.m. in the North Lodge Room. The George Washington Symposium is held annually on Washington’s Birthday to provide the public with enlightening contemporary research on the life of George Washington. Mark Tabbert, the Memorial’s director of collections, serves as the symposium’s master of ceremonies. Admission is free, and free parking is available. Attendees are asked to preregister at bit.ly/101Callahan. FREE. Formal (white tie optional). Reception at 5:30 p.m. Entertainment in the Memorial Theater at 6:45 p.m. Banquet in the Memorial’s Grand Masonic Hall at 7:30 p.m. The presentation of the George Washington Memorial Award will take place during the banquet. Tickets are $150. Reservations are required. To purchase tickets, visit gwmemorial.org or call 703-683-2007. 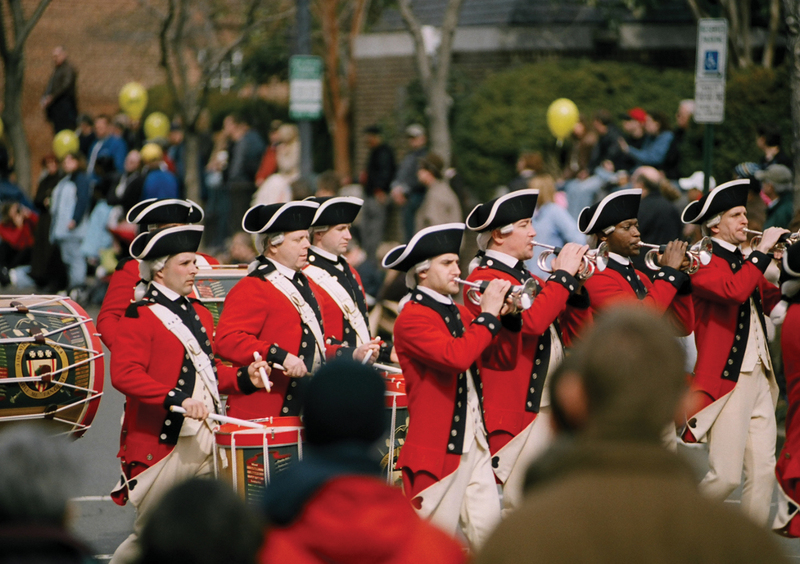 For the most up-to-date information about related celebrations, visit www.washingtonbirthday.net. The George Washington Birthday Celebration Committee also maintains a 24-hour phone line that will report any change of status or the cancellation of any event (in case of inclement weather, for instance). Call the events hotline at 703-829-6640. « What’s the Deal with the Repeal……of Net Neutrality?